LEGO® brick art in its many creative and surprising forms comes to the Heard Museum this summer, with plenty of hands-on components for the whole family! Be amazed at the ingenuity of American Indian and non-American Indian LEGO brick artists and try your own knowledge and skill. Purchase a Heard Museum Family Membership for only $75 and receive free admission to BUILD! all summer, including a special members-only reception on May 24. During the reception, members get the first opportunity to construct pieces of a “mystery mosaic” that will be part of the exhibit. To join today, CLICK HERE or call 602.251.0261! As this is a special exhibit, the following adjusted admission rates will be charged visitors May 24–Sept. 28, 2014. These rates entitle visitors to see this exhibit plus the rest of the museum. Become a Museum Member and see this exhibit (and all the others) free! Join us for free-build sessions, make-and-take crafts and music. Watch local LEGO®brick builders “play” with everything from robotics to your not-so-typical bricks. This exhibit is generously supported by the Virginia M. Ullman Foundation. LEGO® is a trademark of the LEGO Group, which does not sponsor, authorize or endorse this exhibit. 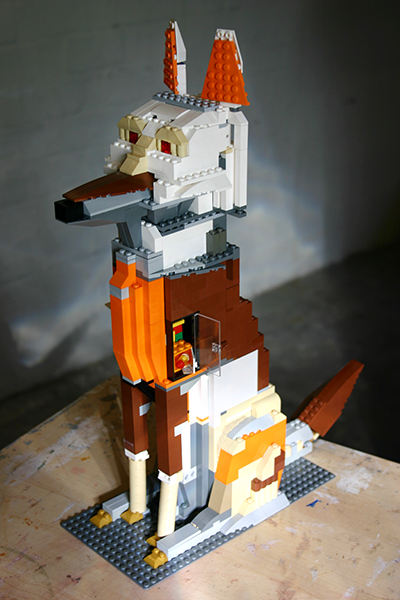 Artist Steve Yazzie (Navajo) created this coyote with LEGO® bricks with the help of his young son. 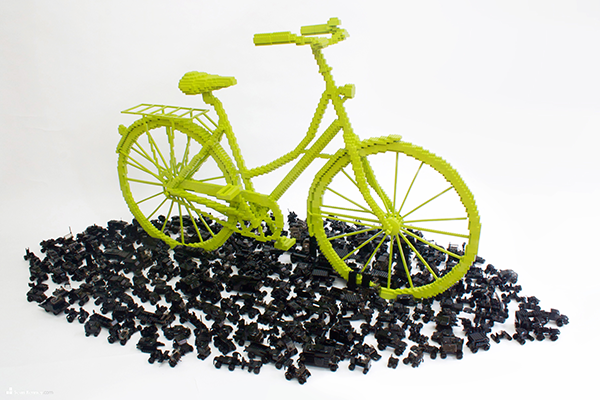 Sean Kenney, "Bicycle Triumphs Traffic," 2011, built with 93,407 LEGO® brick pieces. Mark Mancuso and Joel Hornbeek (designers). Mark Mancuso and Mia Mancuso (builders). 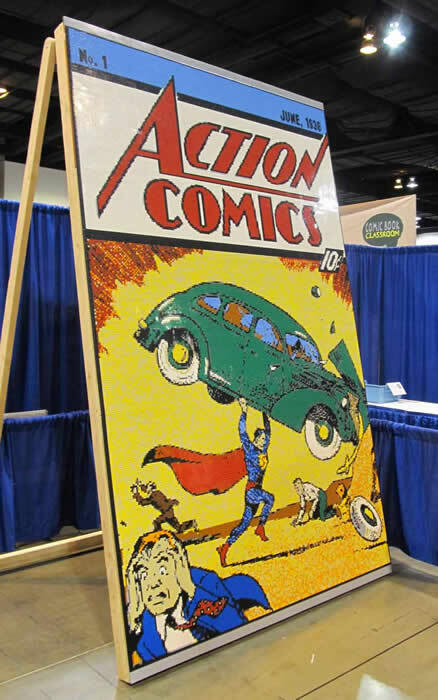 LEGO® brick depiction of Action Comics No. 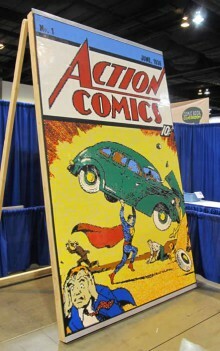 1 (June 1938 issue); approximately 120" x 75"; more than 55,000 LEGO® bricks mounted on LEGO® plates, then on plywood frames. Photo courtesy of the artists.